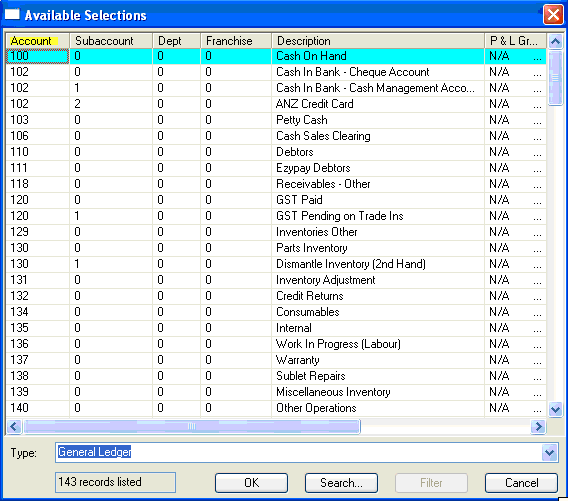 The purpose of this document is to show what is a General Ledger and how this is viewed and used in Autosoft. 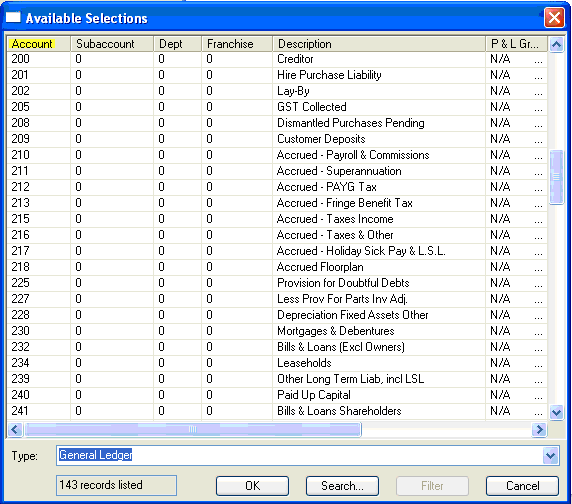 General Ledger - is the means by which the measure of a business’s profitability is calculated. 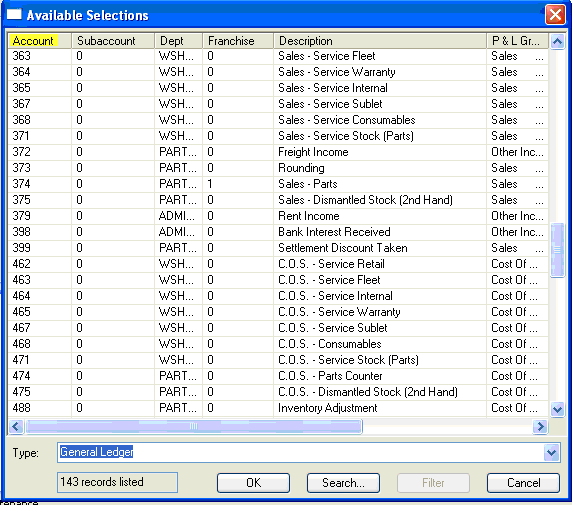 This document is divided into 4 parts namely; viewing General Ledger Accounts, Control Accounts, General Ledger Account Maintenance and Reports. 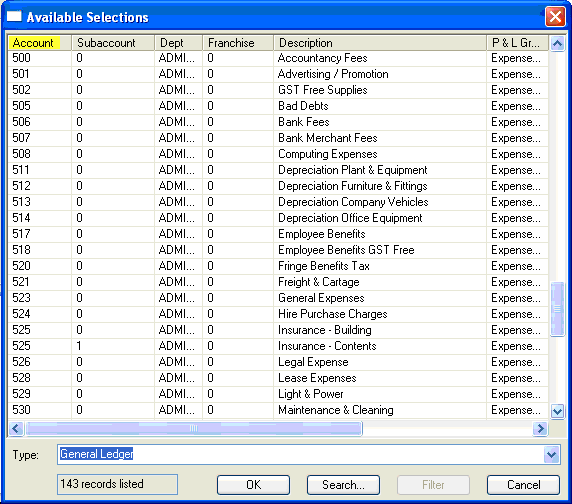 The Account number in the first column on the left. 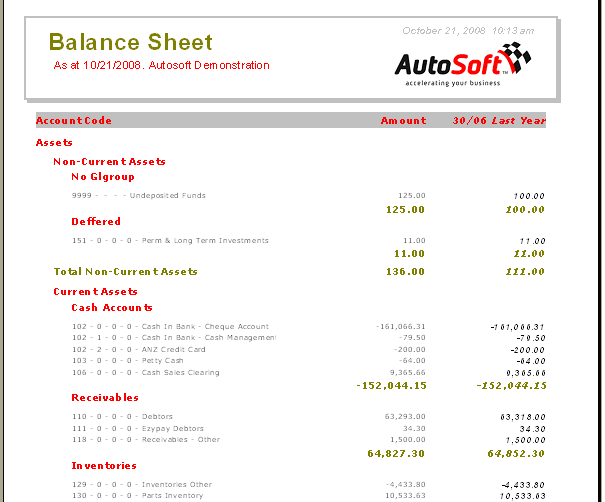 -is an account pre-programmed into Autosoft which decides where money from a transaction is assigned. 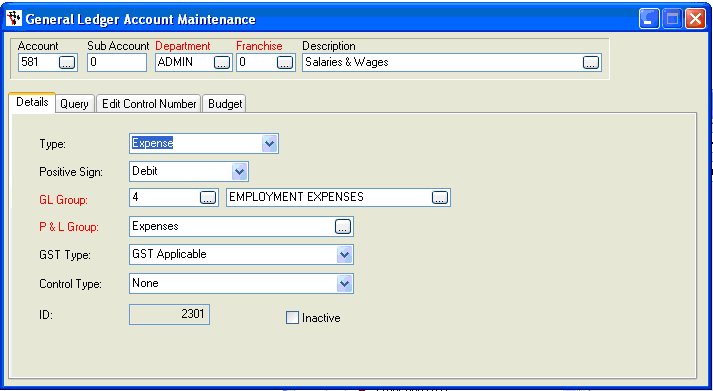 -Control accounts are usually static and will not be modified or changed by the user. -They are set up as a means of deciding where aspects of an invoice like GST are directed so that this doesn't need to be specified on each invoice created. 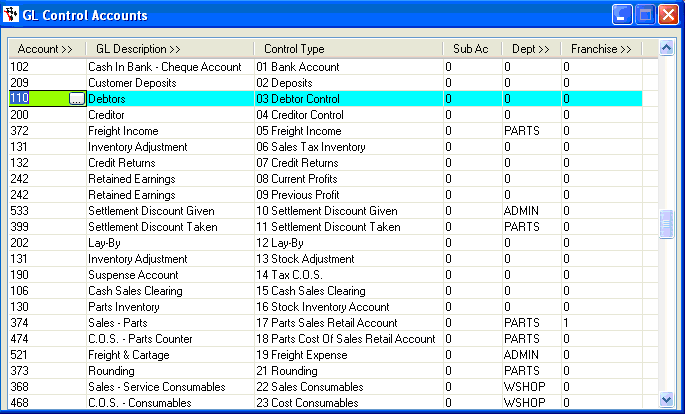 Type - determines which part of the balance sheet the account will be represented on. 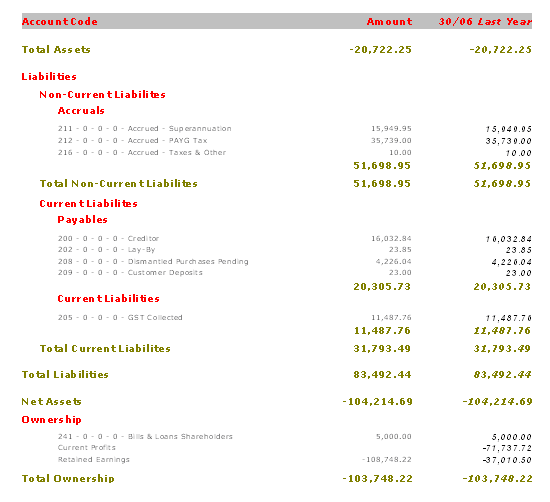 And at the end of the report will provide the net earnings of the business in the ownership section: This example shows a total Assets value of -$20722.25 (top of figure below) and a total Liabilities of $80492.44 meaning the net assets are Negative-$104214.69. 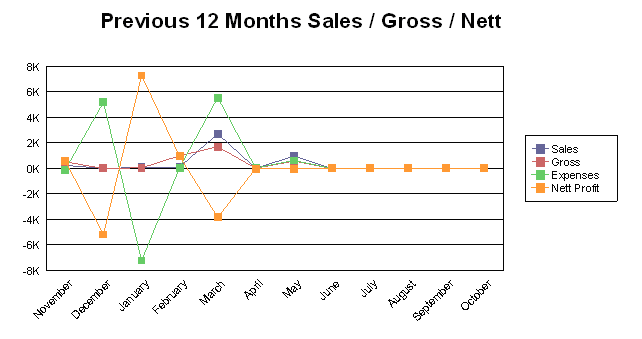 Essentially the business would be losing money in this example and would be insolvent as the Total ownership is in negative. Appropriations can include things such as share dividends or company taxes – essentially items that are not part of the profitability of the business – profit not generated by the business itself.